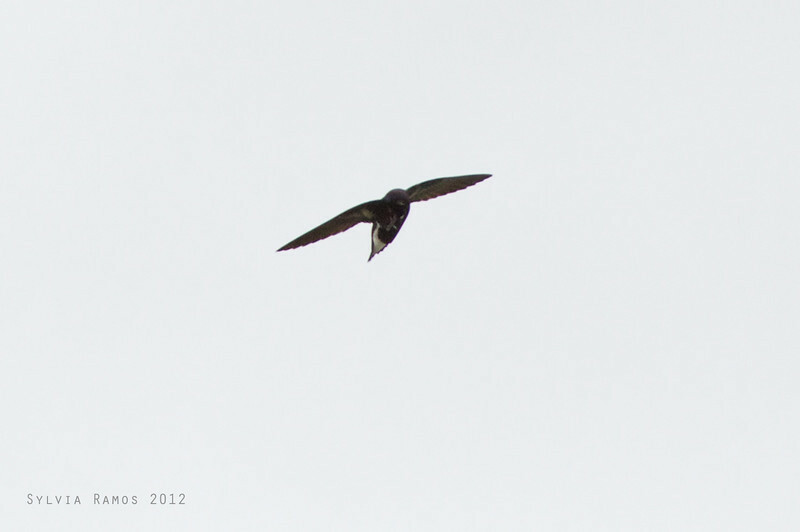 Purple Needletails are very big, fast-flying birds. They can be recognized by their white "horseshoe" markings on the underside and white lores. As can be surmised from their name, they also have small needle-like projections on their tails that can be seen in some of the photos below. We first saw this in Mt. Kitanglad, Bukidnon but were unable to take a photo. Tonji also saw it in Alabang before and wasn't able to take a picture. It would seem that they visit Alabang regularly as we have seen it twice in Alabang already. And both times were on the same street! PURPLE NEEDLETAIL Hirundapus celebensis Ayala Alabang, Muntinlupa, Philippines Is that the leg? It appears to be scratching itself.